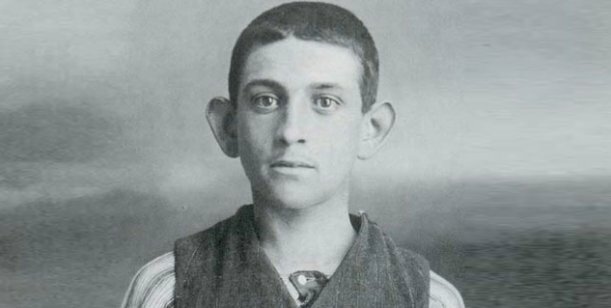 Cayetano Santos Godino, also known by the name of “Petiso Orejudo” (the little one with the big ears), was an Argentinian child serial killer. His parents were immigrants from Italy who moved in 1884 specifically from Romano in the province of Cosenzabut had not made a fortune and lived in poverty. Their first son, Antonio, was epileptic and grew to become an alcoholic like his father. Both of them took out their anger on Cayetano, who was constantly beaten and humiliated. Age 5 Cayetano began attending various schools, but was always expelled for his lack of interest in the study and for his rebellious character. He then started to wander the streets of Buenos Aires, which would also become the set of his murders. 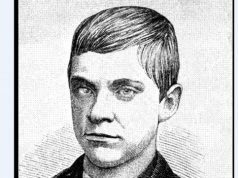 He made the first murder attemptat the early age of 7. On September 28, 1904 he dragged the little Miguel Depaoli, almost two, in a field and savagely beat him, then threw him of brambles. Fortunately a policeman passing by saw the scene and took both of them to the police station, where their mothers came to pick them up. This time too a policeman saw the scene and took them to the police station. Cayetano, given his young age, was left free. His first murder, that of Maria Rosa Face, only three, whom he tried to strangle and then not succeeding he buried her alive on March 29, 1906. Although this was his first murder, it was discovered only when Cayetano confessed it after his arrest. A few days later, on April 5, the father of Petiso Orejudo reported him to the policefor killing some domestic birds. In fact, he had found a dead bird in his son’s shoe, and under his son’s bed, a box full of other dead birds. Fiore Godino, father of Cayetano, showed up at the police station to report hischild, as he was totally rebellious to his fatherly authority. He claimed that his son was annoying theneighbours, throwing them objects and yelling at them, and asked for help to the police. After thiscomplaint Cayetano was put in prison, where he remained for two months. When he was released he returned to wandering the streets. Then covering it with a wooden board. Fortunately the owner arrived in time to save the little boy, but Cayetano said he was innocent because he declared that a “lady in black” was the one who had kidnapped the child. Both were taken to the police station. Six days later he burned eyelids of a 22-month-old child with a cigarette. The mother of the victim saw him, but Cayetano managed to escape. Where he learned to read and write a little, but this did not improve his situation. Three years later, his parents asked his release so he could return home with them. They had found him a job in a factory, hoping this would calm him down; unfortunately, however, the boy lost his job three months later and began to roam the streets and drink. 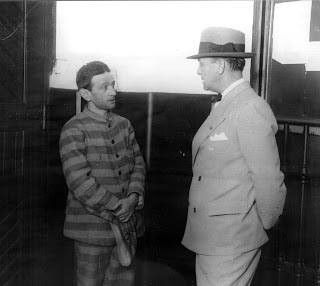 In 1912 he set fire to a store and was arrested. Again he was set free and keep killing. In the same year he committed three murder attempts, 3 killings and lit several fires. He was arrested for lighting fires and thanks to this arrest the police found that Cayetano had been the author of the murder of Gesualdo Giordano, his latest victim of just three years. 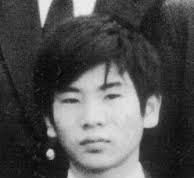 The Petiso Orejudo had convinced him to follow him with the promise of candy, and then took him to an abandoned building where he had strangled the boy with a rope. 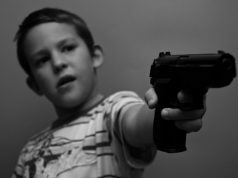 The young boy squirmed and Cayetano was forced to tie his hands and feet, but the boy resisted and Petiso left the building to look for another weapon. Outside he met Gesualdo’s father who asked him if he had seen his son. Cayetano denied and advised him to make a police report. Then he took a 10 centimetres long nail, went back to the building, planted it in the temple of the dying child and ran home. The little body was found the same day and Cayetano went to the funeral wake, but after seeing the corpse he ran out crying: the nail that he had stuck was gone.